Well. This 12 new things stuff isn't as easy as I thought, but that's the point! We're trying to work on new skills and grow in others. My September skill was to write some magazine articles. I've always thought about doing it and I already write a blog - so how hard could it really be??? ahem. So apparently I'm not a gifted article writer that can whip out perfection in a couple of hours. I started out the month with good intentions. 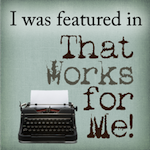 I decided I would try writing a few articles and that I would send some queries to magazines. I brainstormed ideas to write about and picked a few. I even jotted down notes for each. Later in the month I looked through a guide I have to see which magazines I might be able to send queries to. I had an idea for a series of articles and decided to try writing the first one. I spent some time working on that article and then left it alone for a few days. When I went back to look at it...well...it was bad. Really bad. So bad that I wouldn't even want to publish it on my own blog! Now I know that writing has to be worked over a few times until it's right, but I was drawing a blank and I just didn't feel driven to fix it. I looked over my other ideas to see if I could write up something else and nothing really excited me. I really felt like I just couldn't write a magazine article! 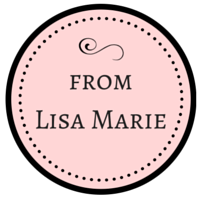 I think that I have gotten so used to writing in a more casual conversational style on my blog that it's difficult for me to write any other way. Maybe I could have come up with a good article if I had the right idea and spent a good amount of time on it. But you know what? I have many things I would rather spend my time on or that I *need* to spend my time on! I still would like to write a book someday, even if nobody ever read it but me. But that's nothing I plan to do in the near future. I definitely learned something from my experience - writing is HARD! I know that all you writers out there are nodding your heads! I have a tendency to not like doing hard things (either because I'm not convinced I'm capable or because of fear of failure or just because I'm lazy), but maybe I'll try again one of these days. Besides, I have something new to attempt next month - jogging! For September, I had also assigned myself a project to complete - create a Christmas binder. I partially did it. I have a binder - LOL! And I did actually list out the 12 weeks until Christmas and assigned myself tasks for each week. It just needs some prettying up and some blank forms. I also assigned myself a book to read - Created To Be His Help Meet by Debi Pearl. I finished it - woo hoo! Great book with lots to mull over. How about you? Did you learn a new skill this month? Did you have more success than I did? 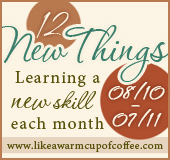 There will be a link up for 12 New Things at Like a Warm Cup of Coffee soon (Sarah Mae has been super busy!). So you have a little extra time to actually write up a post about your new skill or even come up with your 12 things now and post about it! 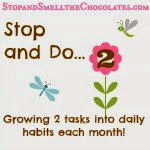 *Added: Her post is up now, so go check it out and link up your 12 New Things post! Have you had articles published in magazines? Does this make you want to give it a try or did I scare you? You're so funny! That's why I'll never become a proficient writer. LOL! I know I drive "writers" nuts on my blog, yet they read it any way. Big I think Buster would be a great topic to write on as he's always doing something super exciting size hugs to you. I DID submit an article to a magazine in September! My first actual submission ... I've set myself a goal of at least one submission per month. It is hard work! And very different from the conversational tone of most blog writing - you are so right about that. I think it sounds like you made great progress even if you didn't like how your article turned out. Yes, writing is hard but don't give up. You should definitely give it another try.